You are here: Home / What is Simchat Torah? Simchat Torah (Rejoicing with the Torah) marks the end of the annual cycle of weekly Torah readings and the beginning of the new cycle. 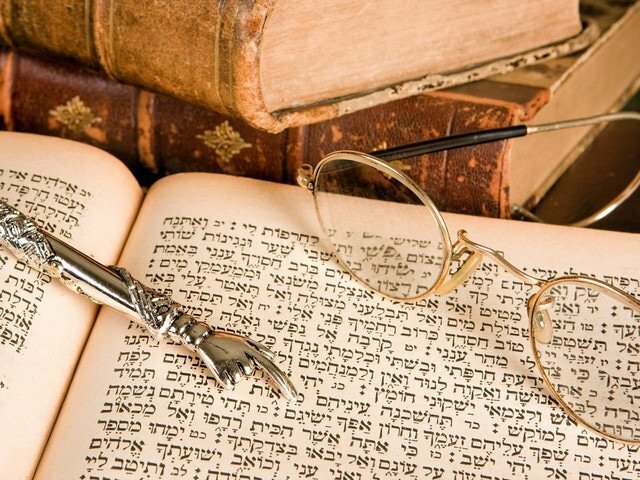 It is a joyous holiday that celebrates the Jewish love of Torah and study. Simchat Torah is celebrated by taking all the Torah scrolls out of the ark in synagogue and spending the evening dancing, singing, and rejoicing. The scrolls are carried around the sanctuary in seven circles called hakafot. Though only seven circles are required, the dancing and celebrating usually goes on much longer. It is also customary to drink alcohol on the holiday as part of the celebratory experience. Many people also take the Torah scrolls out to the street and dance publicly as a way of showing their pride as Jews. On the morning of the holiday, the last parashah (portion) of the book of Deuteronomy is read in synagogue, followed by the first parashah of the book of Genesis (the end and the beginning of the Torah, respectively). What kinds of foods are eaten on Simchat Torah? There are not many traditional Simchat Torah foods, but one popular ingredient for Simchat Torah meals is cabbage, due its cylindrical shape, which is seen as representing the shape of the Torah scroll. Stuffed cabbage is a traditional Ashkenazi Simchat Torah dish. Another cylindrical shaped food that can be made is blintzes. Some people also like to make Torah shaped cookies for the holidays. What is the proper greeting for Simchat Torah? The greeting for Simchat Torah is simply “Chag Sameach!” (Happy Holiday). Simchat Torah is observed on the 22nd to 23rd of Tishrei.